I got up at 5 this morning. We often get up at 5–Shelly and I–because we want to go exercise. Shelly works in Fort Worth, and often works late, so we find that getting up early is the only time we can do it together. And I don’t mind getting up early to exercise, both because I need the exercise and because it’s another thing she and I can do together in a life where we never see each other enough. But today Shelly stayed in bed and I got up. We have a third person living with us this week–my grandson Gavin. We love him to death, but every time we keep him with us we are reminded why having kids is for the young. Shelly and Gavin stayed up and watched cartoons and he rode his bicycle through our house while I went to bed last night. And this morning, they stayed in bed while I got up and worked. After a exciting weekend, it’s time for me to put my nose to the grindstone. We have four weeks left of classes, then finals then (yay!) summer, believe it or not. I spent the weekend herding the grandkid, driving to Austin to gather up said grandkid, and watching excitedly while Facebook and Twitter lit up with my e-book giveaway. And we did good. Infinity’s Reach has made it into the consciousness of a lot of people. If you are one of those many who got the free ebook, the only thing that I ask is the next step: please leave a review on Amazon. It doesn’t have to be positive; it does has to be honest. But the more reviews I receive, the more likely it is for people to buy my book. 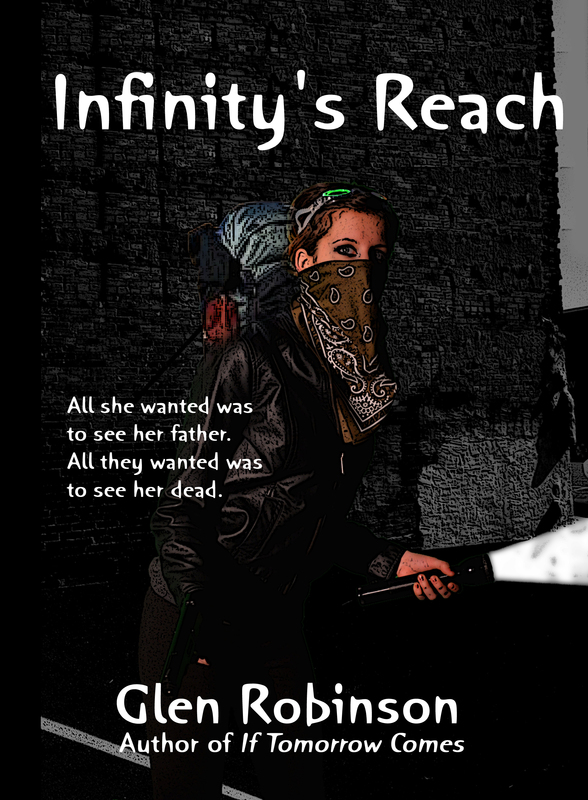 And now that the month of preliminary promotions are over with and the launch is history, the only thing left to do for Infinity’s Reach is reviews. I have ordered 20 books for the contest and for reviews. They should be here this week sometime. I also plan on doing a paperback giveaway on Goodreads. But more than anything right now, I need to concentrate on my day job: teaching. And writing for marketing. And being a webmaster. Guess that’s three day jobs. So you understand why I have to get back to work. Pole Position, or Simply Feeling Powerless? I will make sure to leave a review on Amazon!! !